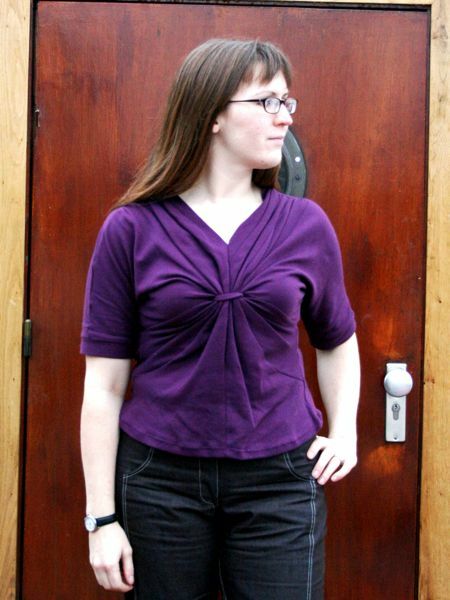 If this top looks familiar, then it’s because this is the fourth time I’ve sewn this pattern! First, I made it in blue ribbed knit over the summer, then again in the same fabric for my mom. Then I transformed it into a dress. 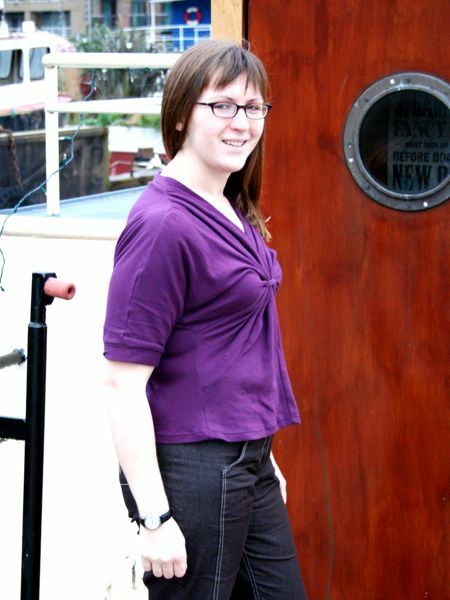 And this time, well, it looks an awful lot like the Plus size version that was reprinted in the October edition! 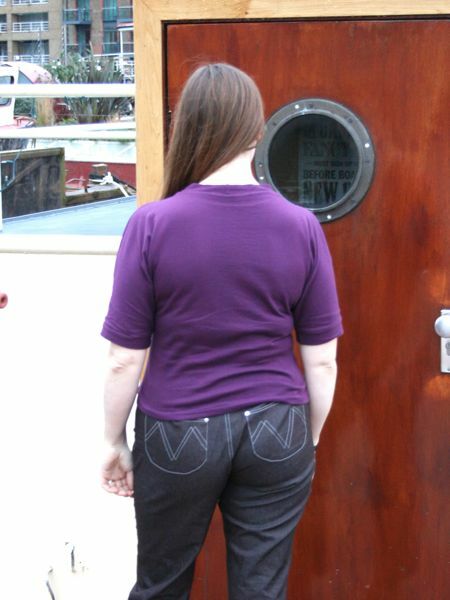 Combine those with Trena’s recent version and you’ve got a strong contender for my Pattern of The Year 2008! And here it is, in purple cotton interlock from Pennine Outdoor! I did the neckline slightly different this time, which was a result of constructing it on my serger/overlocker for the first time. I posted full step-by-step instructions and diagrams here, but essentially the main change to make it serger-friendly was to sew the centre front seam (piece 1 to 1) last. 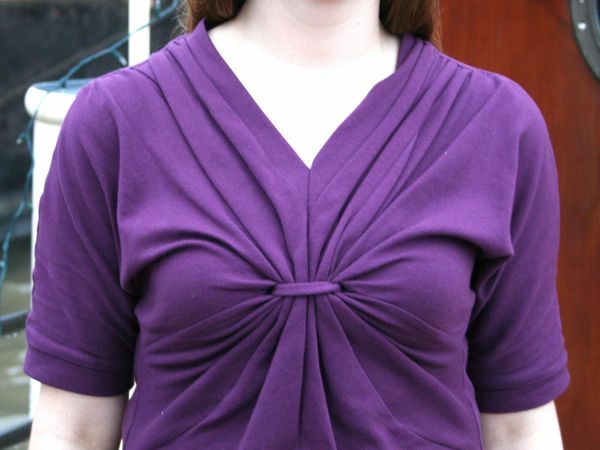 But to not have an ugly thread chain peeping out at the neckline, I left the neckband free when I stitched that seam, and went back with my sewing machine to create a V-neck shape rather than a free form drape. 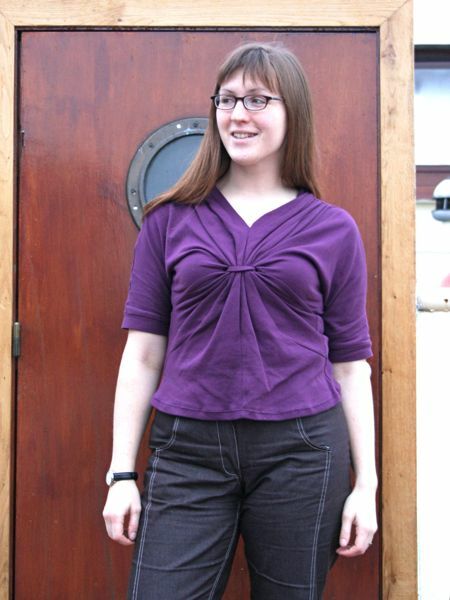 I made this top to coordinate with my grey skinny jeans (as seen in the photos above!) 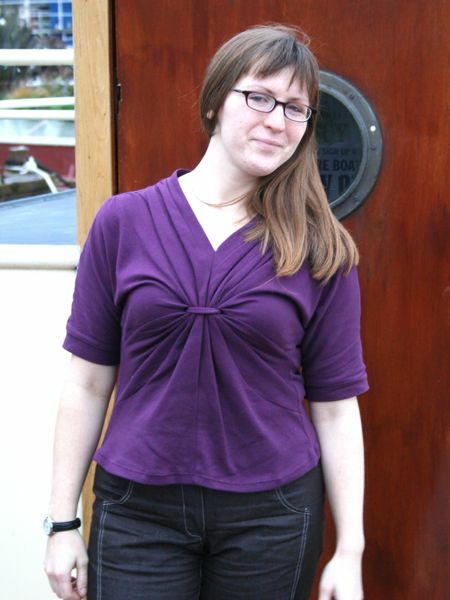 and also my purple wool sweater as part of Pattern Review’s Endless Combinations contest. I’m still working on two more pieces for it, though – one of which you’ll get to see some in-progress details of tomorrow! 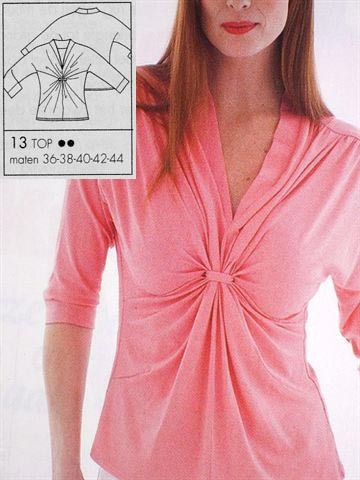 Separator image Posted in Gallery and tagged with knipmode, knit, magazine, top.